Three day ski lodge family package to Falls Creek includes Free snow equipment and clothing hire. 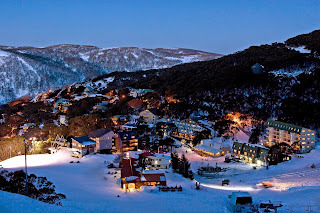 This Pretty Valley Alpine Lodge package, priced from $1,400 based on two adults & two children (under 14) sharing a quad share room, valid between 26 to 28 June includes three breakfast/three lunches, two dinners per person, morning & afternoon tea. Plus other lodge benefits such as supervised child care entertainment between 6.00pm – 9.00pm nightly, heated pool access, four spas, wi-fi internet, freshly baked pastries for daily afternoon teas in-house 22-seat cinema and Free luggage transfers. Footnote: The only add-on costs that Pretty Valley guests pay for is their bar tab and personal snow sports equipment such as goggles, gloves etc.